Home / entertainment / Did Flavour Actually Dump Babymama Anna & Marry Sandra Secretly? 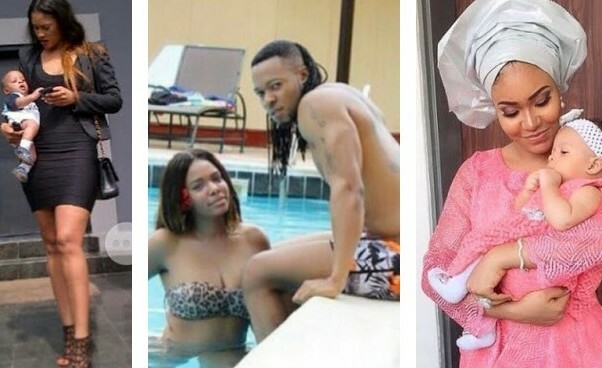 Did Flavour Actually Dump Babymama Anna & Marry Sandra Secretly? Earlier, Stella claimed that she has very authentic info that Sandra Okagbue is now Flavour's wife as they got married secretly, in fact she said she's so sure that she's ready to defend her story with facts. Fast forward to few hours later, Flavour came online and trashed the story, saying for now he is married to his music (and if possible the guy go still 'wipe' and get some more baby mamas..lol! ).